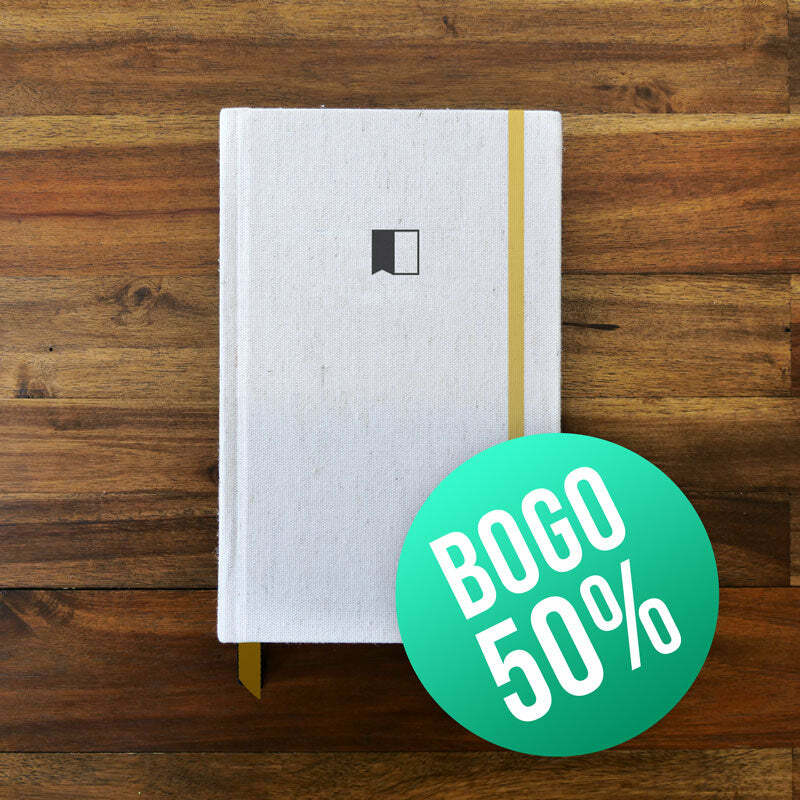 For a limited time only, purchase a OneBook and receive a second OneBook for 50% off! OneBook is the first journal built for every part of your day. Filled with innovative page designs to fit your every need, OneBook is designed to empower you to achieve your goals, stay focused on your priorities, and cultivate a positive perspective on your life. Daily meditations? Productivity planner? Creative sketchpad? OneBook is the best journal you can take with you throughout your day to revolutionize and transform your life.